For the past few years one of the most popular annual events in the club diary is the garden show. 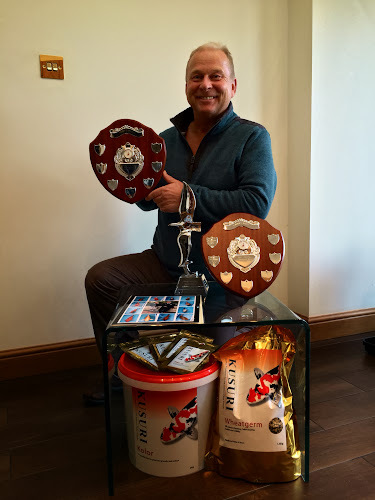 In the past two years Gary Pritchard (BKKS judge) has visited the members ponds and judged our koi with some fantastic prizes. During the Monthly Club Nights (second Wednesday of the month) we have a number of guest speakers coming to visit us. Always some of the best attended nights and in 2014 we had Mark Davis, Kevin Ellis, Malcolm Green Lee Burroughs etc. The club members are looking to be out and about a lot during 2015. Please see some of the visits to koi shows and koi retailers. We have Sam Norley, who works for Mark Davis at Cuttlebrook Koi Farm and Mark & Lisa's new business called Marisa Koi Farm. Sam is going to give us the full update on what's happening at Cuttlebrook, and also at Marisa. 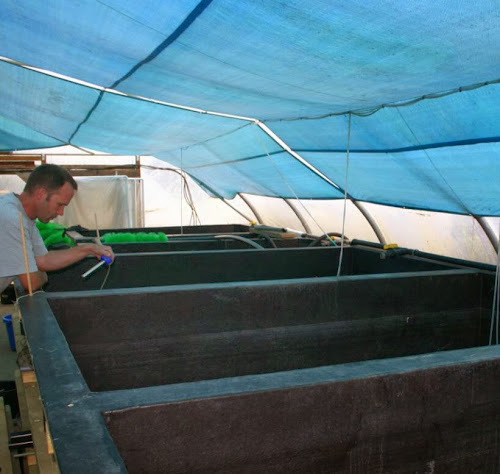 Much has changed over the past 12 months at the koi farm and Sam will take us all through it. 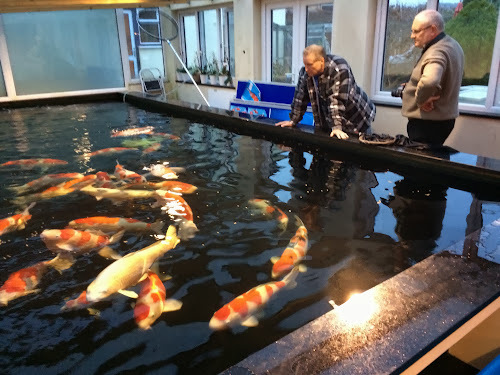 He is also going to give us an account of him time at Sparsholt - studying aquaculture, and his experiences in the working world of koi farming.